This heavy weight deluxe residential and light commercial aluminum stair nosing with a 2" nose and nickel hammered finish covers and protects leading edge of stairs. Pre-drilled with countersunk holes on 6" centers and requires #3 fasteners for installation. This heavy weight deluxe residential and light commercial aluminum stair nosing with a 2" nose and silver hammered finish covers and protects leading edge of stairs. 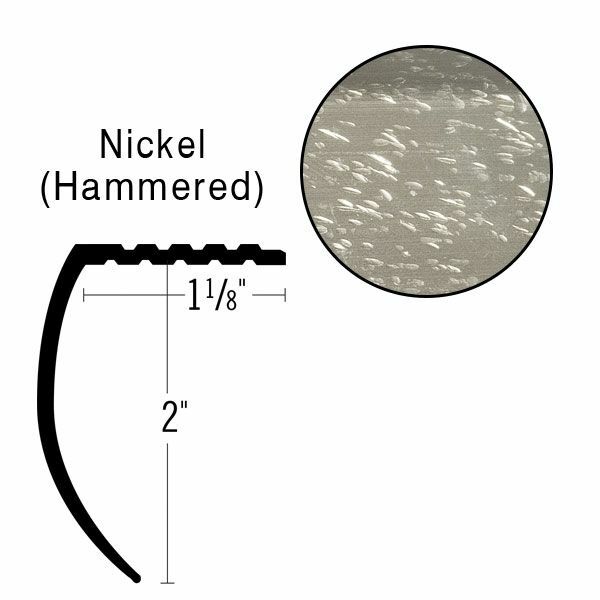 Pre-drilled with countersunk holes on 6" centers and requires #3 fasteners for installation.